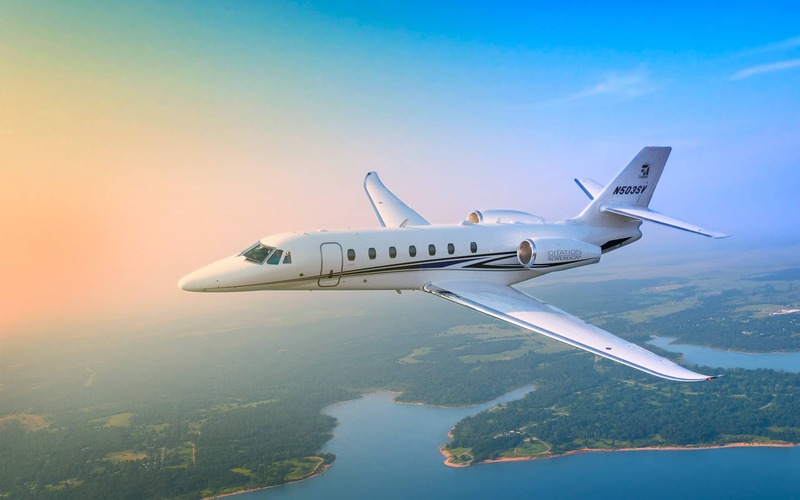 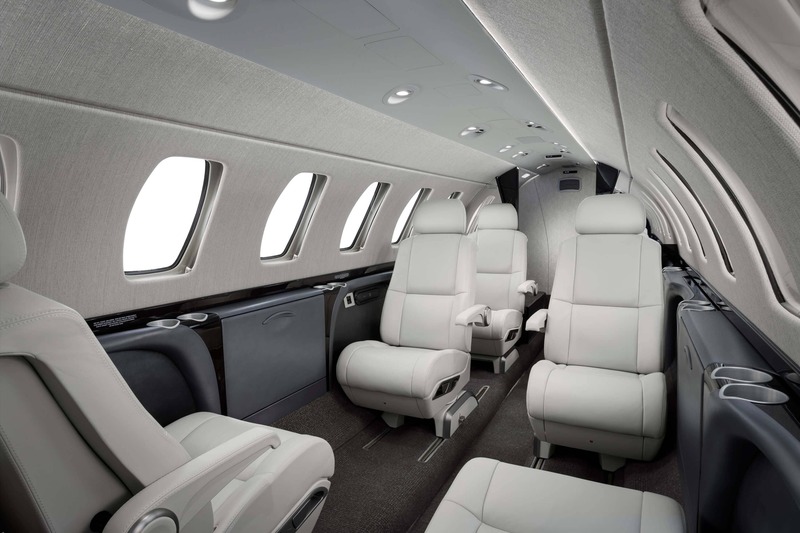 The Cessna Citation Sovereign is not only comfortable, high-performing and economical, but its strongest feature is its range. 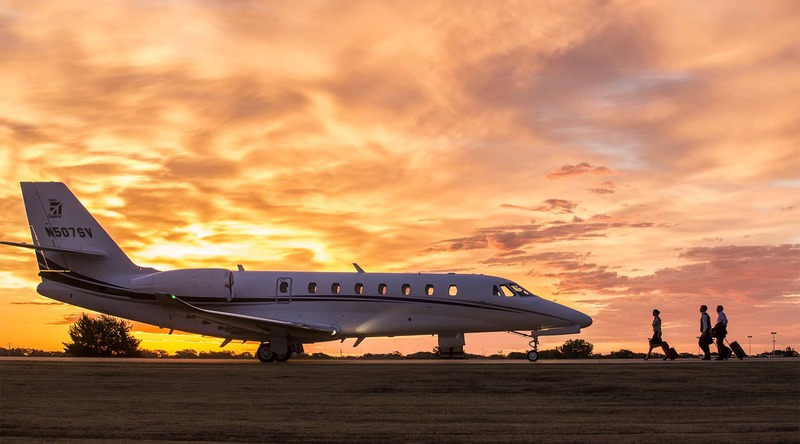 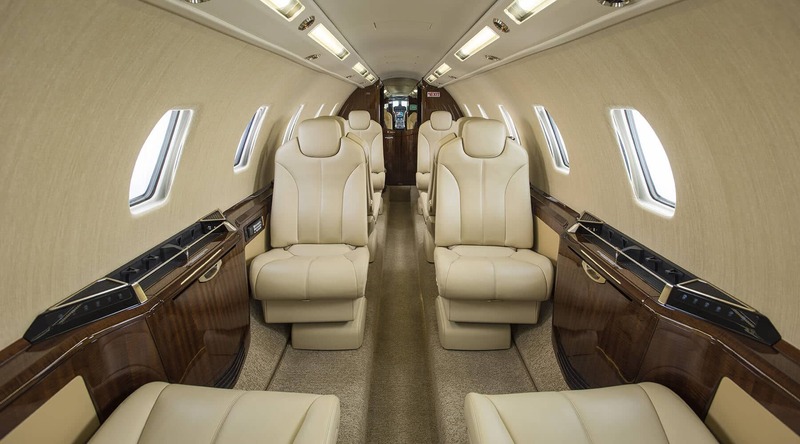 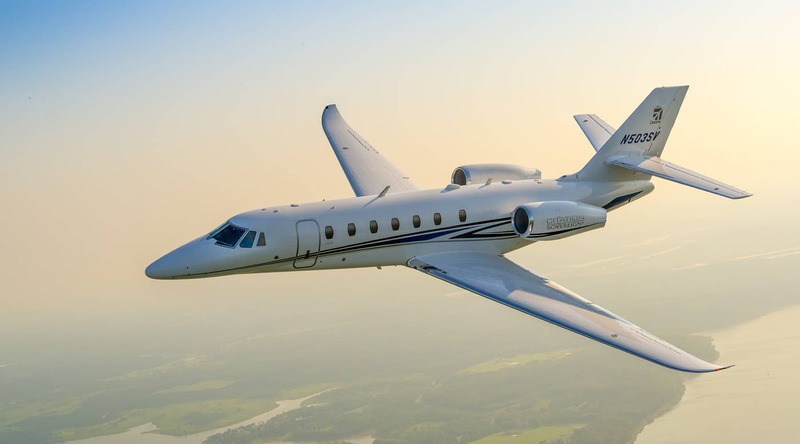 This long range business jet has coast to coast capabilities just like larger jets but has the advantages featured in Mid-Sized jets. 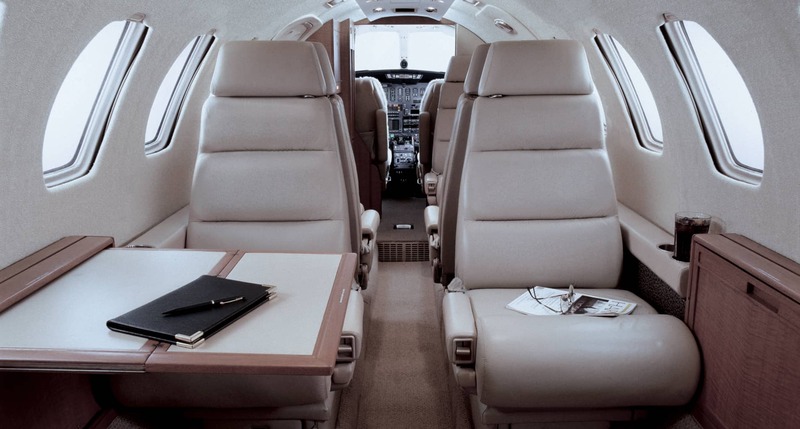 The interior of the Sovereign can carry between 8 to 12 passengers with 180 degree swivel chairs with a total cabin length of 25.3 feet. 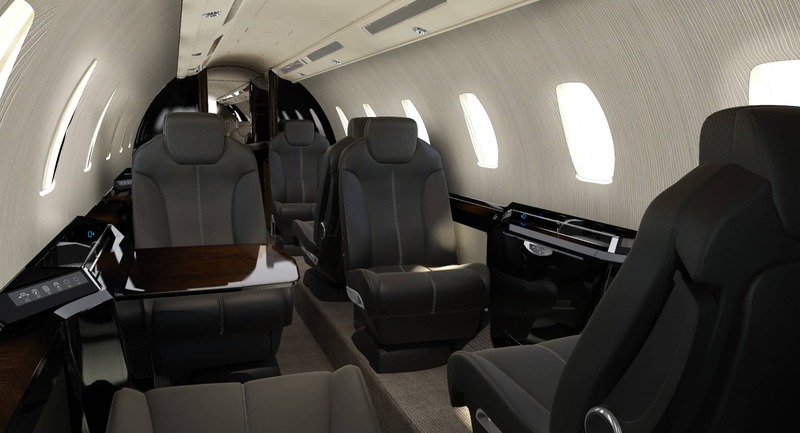 The cabin is large enough that passengers can stand with a ceiling eight of 5.7 feet. 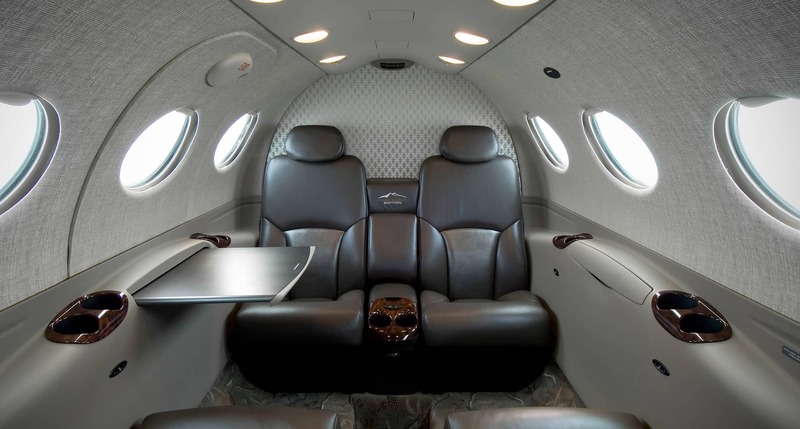 The storage space in the cabin cab hold full-sized garment bags with a total baggage space of 135 cubic feet or 453kgs in comparison to other jets in its class it far exceeds its competitors by more than double. 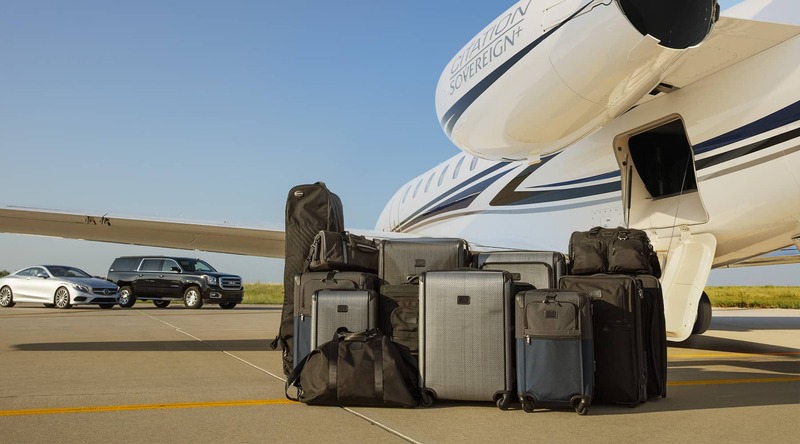 This is certainly a major feature for many of our clients travelling with lots of baggage. 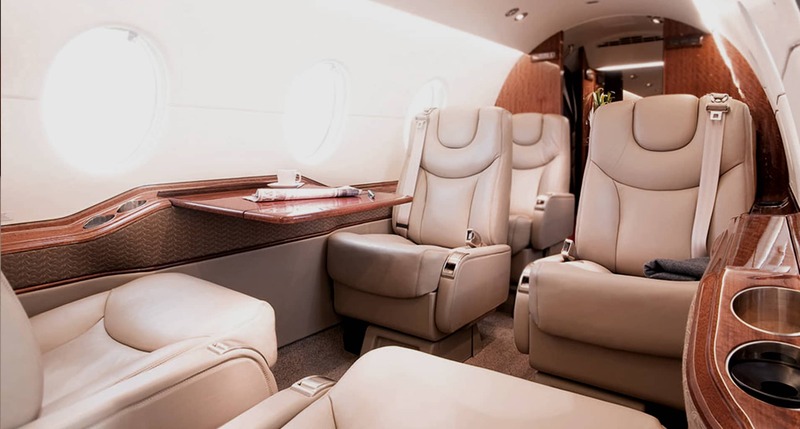 There is a spacious lavatory onboard with enough space to change clothes comfortably in complete privacy due to the double-sliding hard doors. 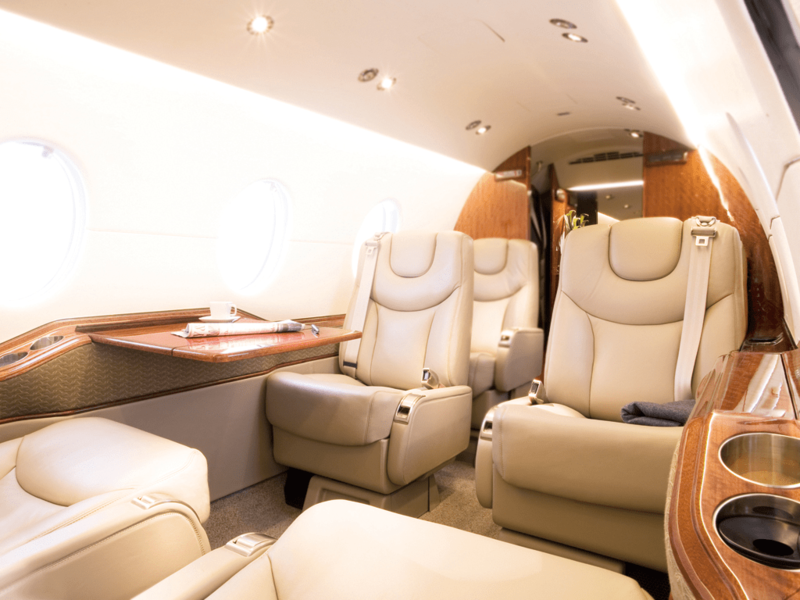 The lighting system throughout the aircraft has dimmable LEDS and the cabin can be cooled before staring the engines with the use of an APU which is convenient in the intense summer heat experienced in the Middle East.